When I was a teenager, my brother Greg gave me a copy of a book called Illusions: The Adventures of a Reluctant Messiah . Reading that book was a formative moment in who I am as a person. That book, and every other book Richard wrote, actually; I’ve read almost every book – possibly every book – he has written. Each book was another stone in the building of me. But Illusions was the first, and the most powerful. There’s a lot about God in Illusions. I was leaning toward agnosticism as a teen, and I’m a full-fledged atheist now, but I have to say that if all Christians believed and acted like Don Shimoda, the titular reluctant messiah of the book, this world would be a much better place. But I really don’t want to get into that right now. What I really want to say is that I’m very, very thankful for Richard Bach’s books, and for Illusions in particular. Richard had an accident recently, and I’m hopeful he’ll be okay, but either way I just want to say thanks. So thank you, Richard. More than any other single influence in my life, your books shaped the man I am today. I wish you well on your journey, wherever it may take you. Thank you for posting this news. 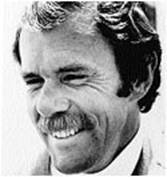 I join you in thanking Richard Bach for everything he wrote, as it has all been and continues to be an integral part of my thinking about the world. I hope he recovers and leaves us with further wisdom. I thought of you when I heard of the accident. Thanks for getting me to read him as well. You are currently reading Thank you, Richard Bach at Kicking the Pants.